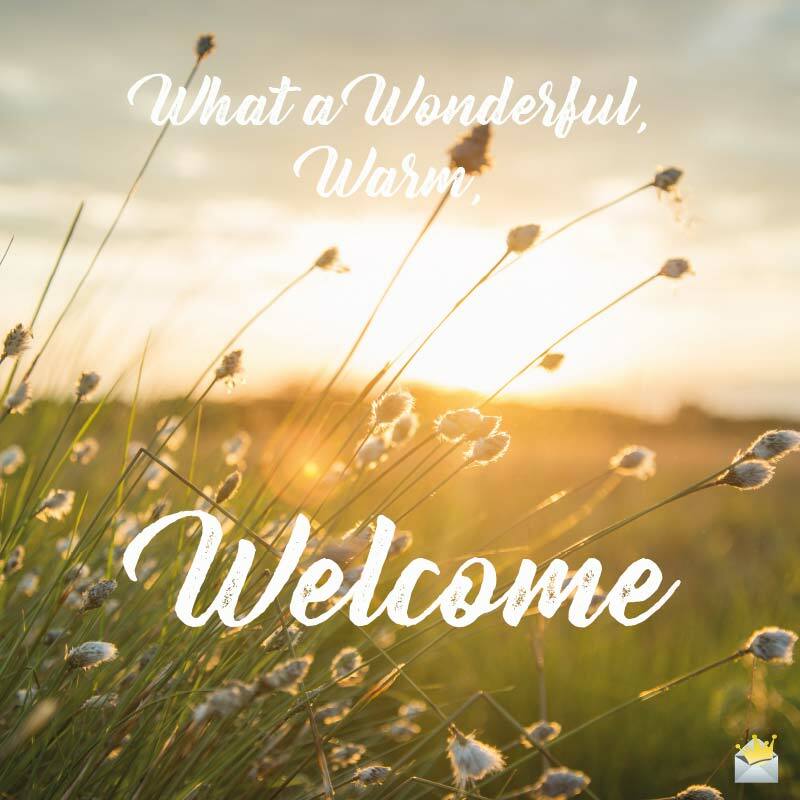 If you are looking for great thank you messages to send to someone or a group of people for being hospitable to you, you have come to the right place. Use any of the dozens of beautifully penned messages below to show your sincere gratitude and appreciation to that person(s) for their hospitality and great generosity. I just want you to know that your help was God sent. Thanks a billion times for your fabulous hospitality, and may God replenish all that you spent on me. Just when I needed someone to make me feel at home when I visited the city, you showed that some friends can be more than family. Words will never be sufficient enough to let you know how grateful my heart is for your kind gesture. I didn’t know Angels lived on earth until I met you. You took me in when nobody trusted me. I pray God Himself will bless you for me. Thanks. You were more than family to me. I now believe there are still good people on earth. Thanks for your incredible act of kindness. What an amazing person you are! You showed me so much love and kindness even when you didn’t know me. God bless you for your hospitality. A simple thank you is nowhere near enough to show my appreciation and express my deepest gratitude for your hospitality. Only the heavens can reward you on my behalf. I thought my stay in town was going to be hell, but it turned out to be a truly joyful experience all because of you. Thank you very much. What a wonderful, warm, welcome! Having you show up when I had no one to turn to makes me believe God still does miracles. I can’t thank you enough. It was great visiting. You were so kind and I just want to let you know I cherish it. God bless you abundantly. I miss the amazing treatment you gave me. You are a true friend. Thank you. I can never repay you for the kindness shown me. May God never stop rewarding you for being so kind to me. Thank you for sharing the little you had with me. You are such a generous person. God bless you. A friend in need is a friend indeed, so goes the saying. Your help was life saving for me. Thank you very much. What a generous person! Your kindness can only be rewarded by God Himself. Thank you for your extraordinary hospitality. Every moment I spent with you and your lovely family was truly heavenly. I will visit a thousand times if I have to. We want to thank you for your warm reception. It was a wonderful experience. We couldn’t have wished for more. I want to thank you for hosting us in such a lovely manner. We are very grateful, and pray that all you spent on us will be replenished. Your help to me is highly appreciated. I can’t thank you enough. May the Lord increase the work of your hands. Thank you for your kind gesture during my last visit. I had heard of great acts of hospitality, but you took yours to a whole new level! May the good Lord bless you endlessly for that. I must admit I miss your place. Not just the place but also the wonderful treatment you pampered me with. From the bottom of my heart, I thank you so very much. I would be ungrateful if I fail to express my appreciation for all the help I received from you. You not only gave me a roof over my head but you also treated me like a queen/king. Thank you very much. I will never forget you. I can’t wait to plan my next visit. I felt sad during my departure because you made me feel at home. Your hospitable deeds will never go unrewarded by God. Thank you for the exceptional hospitality. I have never been pampered so much in my entire life. I hope you know that my heart will never grow tired of being grateful to you. What a blessing to have met you in a foreign land! You have no idea how much your help meant to me. Thank you very much, friend. I will forever cherish my stay with you. The food, the places we visited, and above all, your patience in helping me adapt to the unfamiliar environment was beyond excellent. I thank you infinitely for that. Our family is grateful for your generosity. We could not have wished for a different family to host us during our visit to [Name of City]. Our next visit has been planned already. Thank you very much. I would like to thank you very much for appearing from nowhere just when I needed help. You were nothing short of my guardian angel. Thank you a thousand times for your big-heartedness. Such extraordinary kindness is absolutely inspirational! It didn’t matter that we were complete strangers. You trusted us with your home and made us feel loved and treasured. We simply can never thank you enough. I have always thought angels were nonhuman beings who lived in heaven, but you made me believe that mere mortals can also be angels. I have never seen such breathtakingly beautiful act of kindness before. Surely, you are a blessing to many. 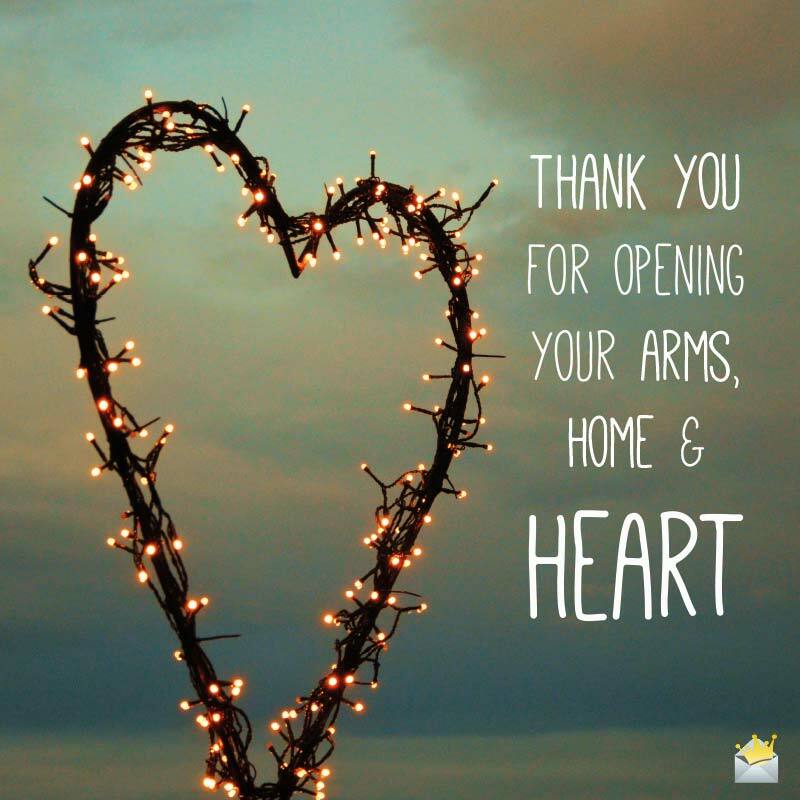 Thank you for opening your arms, home and heart. We had fears it was going to be difficult finding the right person and place. It was great being received with open arms. We are very grateful for your incredible hospitality. Thanks for opening your home to a total stranger. What an angelic deed. I will never forget your kindness for as long as my heart beats. God bless you. Absolutely amazed. That’s how your hospitality makes me feel whenever I think about it. You’re literally a lifesaver. Thank you! There is no way I will be able to thank you for your generosity. I never felt I was away from home being with you and your sweet family. I can’t remember the last time someone showed me such extraordinary kindness. Memories of my visit to your place are fresh and will remain fresh in my mind forever. Thank you for giving me one of the most beautiful experiences of my life. Your hospitality was a divine intervention. I can’t stop thanking God for your life. I pray He blesses your life with all the cherished desires of your heart. Thank you for an evening that was gloriously wonderful. My day and night here in this hotel have been nothing but incredibly wonderful. Thank you so much for your outstanding services. Hoping to see you another time! Let me first of all say a special thanks to you for your services and also for your extreme generosity in going beyond your official duties here in this hotel. You are such an outstanding staff, and I believe you are the main reason clients are trooping to this hotel. You truly deserve recognition for your hard work and great hospitality. Thanks! I cannot say much more than words can permit. However, I just want to tell you that your kind services at this hotel have really melted my heart. Thanks! You have really impressed me with your astonishing reception. Thanks, and I hope your employers take note of your incredible work rate. Your fine hospitality is one that is worthy of applauds and you also merit praises for the fact that you worked extra hard for this. Thanks. Not many employees can go beyond their normal duties to provide the fantastic reception that you gave me during my stay at your resort. Thanks, and may you someday receive the rewards of your great hospitality. You are dissevering of more than just a thank you for making me enjoy every moment of my stay and giving me the best value under the sun. Thank you for taking good care of me and putting a smile on my face. I’m so glad I chose your hotel as my travel partner. I always feel at home whenever I am at your hotel and it is all because of your special and amazing reception. Thank you for your first class hospitality! You entertained and took care of me beyond my expectations. I thank you so much for gifting me such a memorable experience at your hotel! Your sheets were clean. Your hot water was soothing. Your food was absolutely heavenly. What more could I have asked for? Thank you for making my stay fun. Thank you for giving me twice the value and making me feel like a King/Queen. I now understand why your resort is constantly flooded with guests from all walks of life. I want to use this brief note to thank you for giving me the gift of comfort and happiness during my stay at your place. The hospitality was outstandingly exceptional. Thanks for the very special food as well! I have never known any Airbnb host as incredible as you are. I can’t thank you enough for your praiseworthy hospitality! Simply awesome! These are the right words to use for your first class reception. I am looking forward to another spectacular hospitality from you on my next visit. Thanks! I have been so impressed with your unparalleled reception. I never imagined receiving such an exceptional treat from you. Thanks, for your great, great service! Staying at your apartment was just so exciting and the rich experience is one that I shall never forget. Thank you for your truly kind reception. Being at your house was just so much of a surreal experience and I must confess that I am so glad and more than impressed with you friendliness and generosity. Thanks! I have been very fascinated by your incredible generosity and I count myself lucky that my search brought me directly to your so comfortable apartment. Thanks, your hospitality is second to none! What I admired and loved the most about your impressive hospitality was the delicious homemade food. Thanks, and I am hoping to pay you another visit soon! In my eyes, you are an outstanding host. Thank you for blessing me with your remarkable hospitality and tasty meals. Polite, tidy, and friendly are the words that exactly describe you and your apartment. Thank you for a really great reception and also for your delicious dishes. The experience I had at your home was nothing short of exciting and amazing. You are definitely the best Airbnb host when it comes to hospitality. Thanks! I am so lost for words to describe the flawless services I received during my camping at your resort. You just stand out as the best camping administrator amongst the rest. Thanks! I admire you a lot for the beautiful hospitality that you showed me during my time at your facility. You are simply a special and a kind camping guide. Your coordination and directions have been just so wonderful to say the least. I am beyond satisfied with your amazing hospitality. Thanks, camping admin. I have not seen an excellent camp administrator like you. Everything about your reception here is absolutely commendable. Thanks for such a palatable service. Without any hesitation, I can say that my family and I enjoyed an awesome hospitality service from you and your great team. We will be so glad to return here on our next vacation. Thanks! I am so glad that we settled for your camping site, which has been one of the most stunning places I have ever visited. Thanks a lot! Your camp team is one that deserves immense praise for their top-notch reception. My friends and I will like to express our sincerest of thanks to you, Sir. The quality of experience my friends and I have had at your camp is simply on top and beyond any other camping experience that we have had. Congratulations on the good work, camp admin! Your highly exceptional hospitality has left an indelible mark on us and we can’t thank you enough for that. Thanks for making me one of the numerous campers who pass through the front gates of your camp and come out with wearing a smile on their faces. 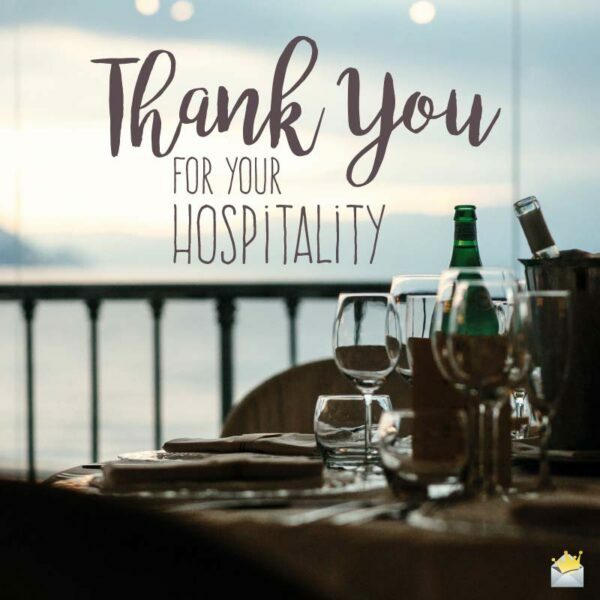 Your extraordinary hospitality is more than appreciated! Your patience and professionalism are nothing short of extraordinary. You are without a doubt the best camping administrator I have ever met. Thank you so much for making my stay here memorable.